You know how Christmas is steeped in traditions. 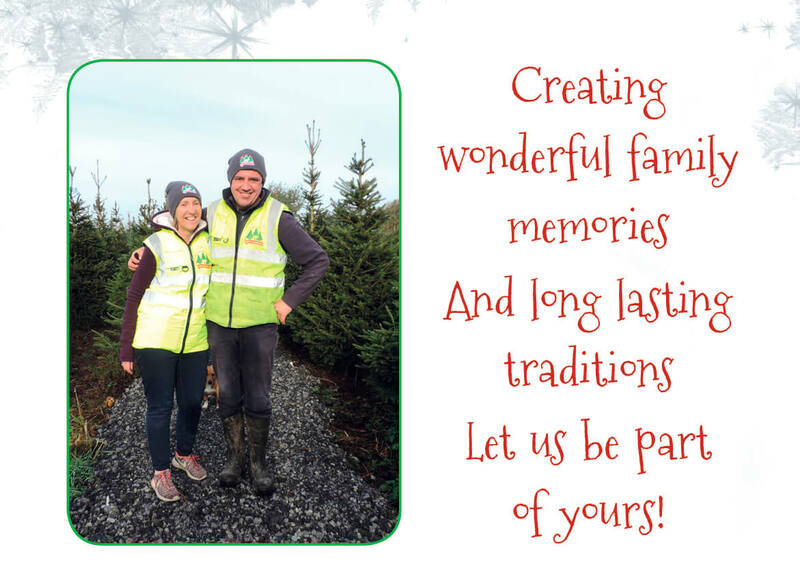 Well, we offer a long lasting family Christmas tradition, and wonderful memories, on our pick your own Christmas tree farm. Our customers have been visiting our farm for over 10 years now. We see whole generations every Christmas. We have seen couples get married, children arriving, families growing, and what a joy to see everyone as each year passes. Our trees are growing right on our farm. 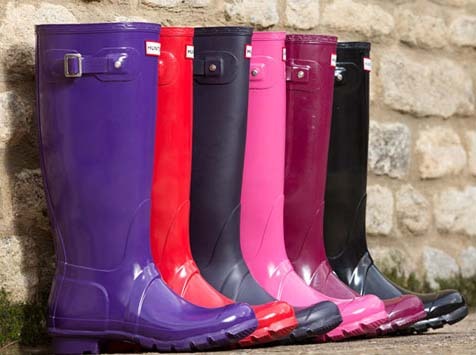 So you put on your wellies and we have a supply of all sizes if you forget yours! 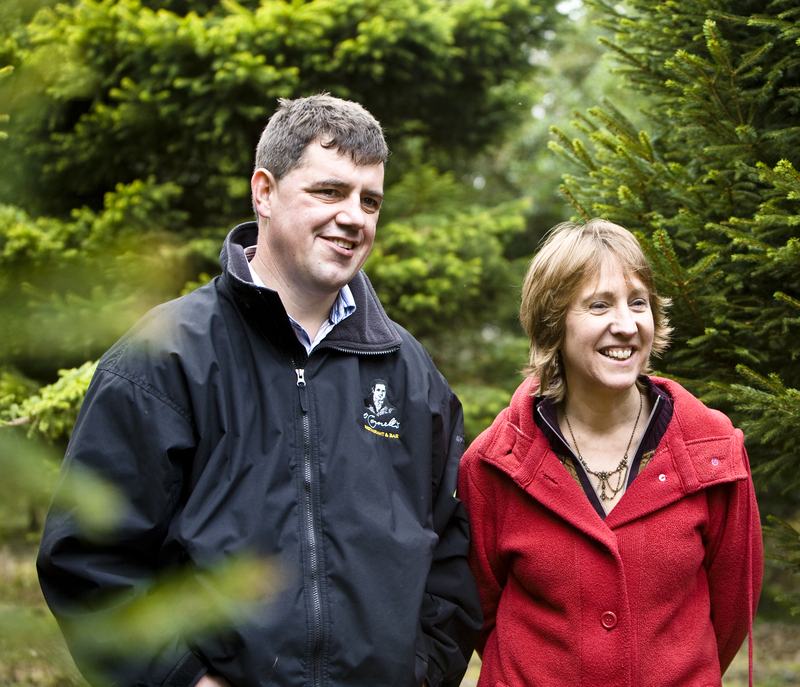 Take one of our signature red ribbons, and off you go to pick the tree just right for you. 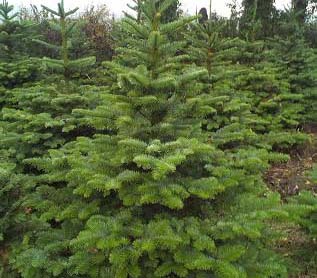 We grow all types of trees – the traditional Norway Spruce, the noble fir and the lodgepole pine. 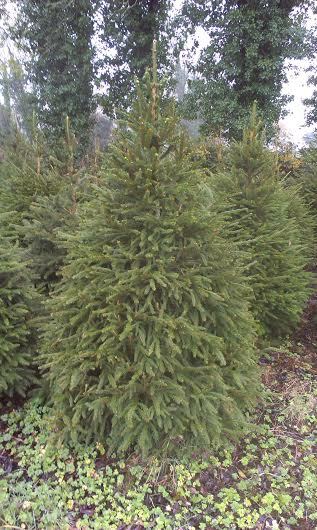 You can view your tree from every angle to make sure it’s just right! But remember it always seems so much bigger when you put it up in your house! Kiddies love to see the tree being cut down, they can help to carry it and many a child has gone through our netter! We have been growing and caring for our trees all throughout the year. We prune, shape, fertilize, and replant so that you can pick a beautifully shaped, full tree – exactly the way you want it, and perfect for that special place in your home. And for every tree you pick, we plant 3 new ones, so how is that for environmentally friendly! Once you take your tree home, its over to you! Remember, every real tree needs water, and lots of it. So for tips on looking after your tree see Here. So come on out to experience the joy for yourself. We look forward to being part of your Christmas tradition!